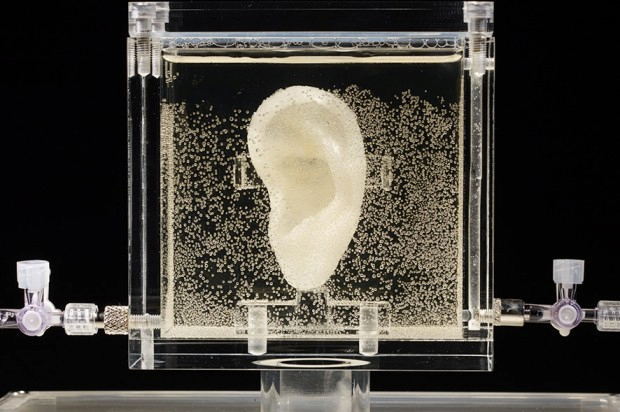 Artist 3D printed Vincent van Gogh’s ear using relative’s DNA #3DxMedicine #3DxArt #3DThursday #3DPrinting « Adafruit Industries – Makers, hackers, artists, designers and engineers! 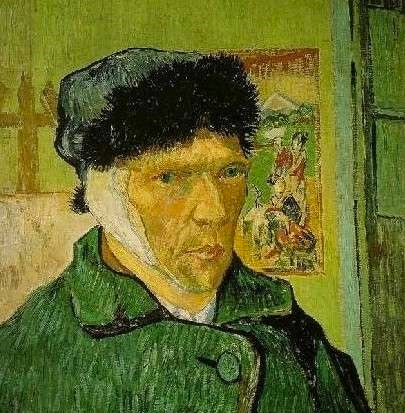 A German museum has put on display a copy of Vincent van Gogh’s ear that was grown using genetic material provided by one of the 19th-century Dutch artist’s living relatives. Artist Diemut Strebe made the replica at Boston’s Brigham and Women’s Hospital using living cells from Lieuwe van Gogh, the great-great-grandson of Vincent’s brother Theo. Lieuwe and Vincent van Gogh share about 1/16th of the same genes, including the Y-chromosome that is passed down the male lineage. “I use science basically like a type of brush, like Vincent used paint,” Strebe told The Associated Press in a telephone interview Tuesday. Convincing Lieuwe van Gogh to take part was easy. “He loved the project right away,” said Strebe. The original plan was to use genetic material that belonged to van Gogh himself. But DNA extracted from an envelope turned out to belong to someone else. “The postman messed it up,” Strebe joked….